With Diego De Paula, Matías Singer, Ana Katz, Verónica Llinás, César Troncoso, Alan Sabbagh, Roberto Suárez. Filmmaker may be available for a Q&A via Skype. Speaker fee: $300. Inquire at FILMCLUB@PRAGDA.COM. 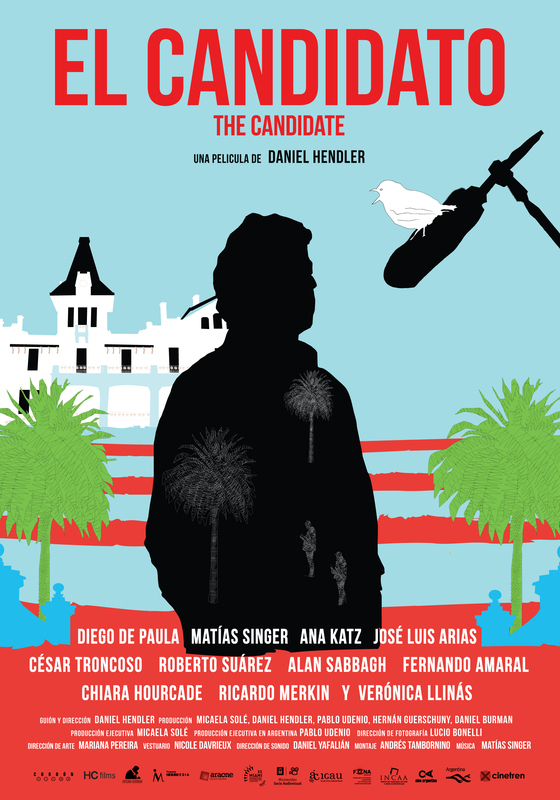 In this wry and timely political comedy of manners, Martín Marchand, the son of a wealthy businessman, retreats to his lavish, secluded family estate with his most trusted confidants to start prepping his candidacy for office. In order to distance himself from the reputation of his father, he decides to form a new party that speaks for the common man, and hires a team of PR hotshots to craft his new image. Soon after their arrival, however, the creatives assigned to form his media presence begin to elicit Martín’s suspicion, and paranoia slowly takes hold. 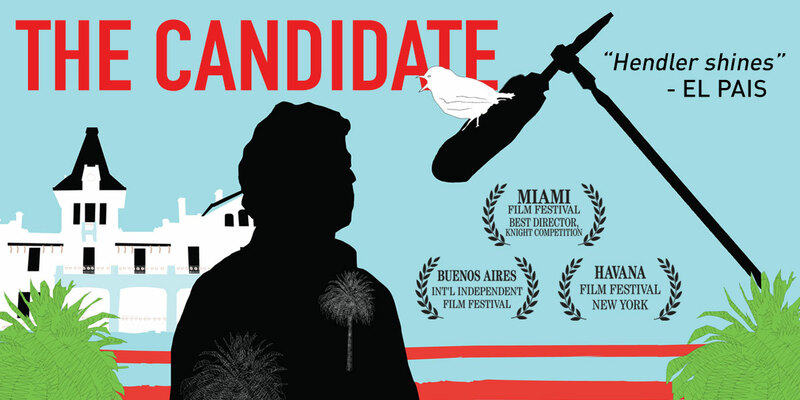 Directed by Uruguayan actor/director Daniel Hendler, The Candidate is a pitch-perfect political comedy that explores the creation of a political persona that is all form and no content. 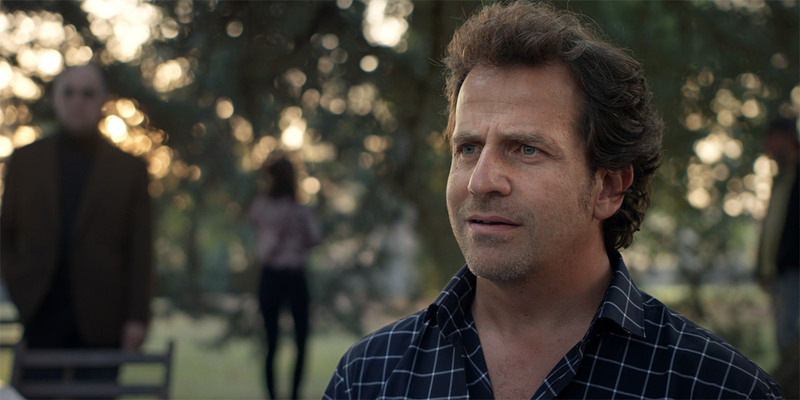 Daniel Hendler has starred in numerous plays and films, including The Broken Embrace by Daniel Burman, The Bottom of the Sea by Damián Szifrón, The Paranoids by G. Medina and Phase 7 by Nicolás Goldbart, for which he has been distinguished in several international and local festivals. He has also been noted for his work on TV (Graduados, Los 7 locos, and more). After directing the plays Crimes and Colds, Playback, and Los magníficos (for which he received the Morosoli prize in 2000), he directed several short films. He was assistant director of Carlos Aguilera, Leo Maslíah, and Mariana Percovich and collaborated on scripts with Daniel Burman and Alejandro Winograd. In 2010 he directed his first feature, Norberto’s Deadline (winner of the TVE Award Films in Progress in San Sebastian, special mention in BAFICI, award for Best Screenplay at Festival Mexico City, and Best Film at Festival de Tucuman, among other international awards). He recently starred in the movie The Other Brother of Israel Adrian Caetano and directed the miniseries Guide 19172 and The Division.